“For fifteen years, Univention has been a reliable partner in the operation and further development of the educational IT landscape of the schools in the Bremen municipality. The introduction of the new import interface and the associated possibilities for flexibility represent a real added value for our teachers”. Meik Hansen, Head of the Department for IT Infrastructure, Senator for Children and Education in Bremen. 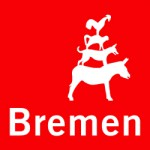 Since 2003, the Bremen Senator for Children and Education has been developing and implementing a centralized offer for the provision of IT infrastructure in Bremen‘s schools. Among other elements, this covers centralized identity and infrastructure management, defined server and desktop environments, software distribution of educational applications for schools, a school software solution for computer-assisted teaching and roll-out, support, update and helpdesk procedures. There are two separate IT infrastructures in Bremen‘s school sector: The school administration network, which is closely connected to the public authorities‘ network of the city of Bremen, and the education network in schools. The latter connects the computers of the pupils and teaching staff and provides the services and functions required for teaching and independent learning. The first step in building up the education network was the introduction of a central user administration for approx. 80,000 pupils and teachers as well as approx. 10,500 clients with different operating systems (Windows, Mac OS and Linux): This was achieved with the use of central UCS servers (production and backup systems), mail and proxy servers with web filtering and central services (e.g., routing, DNS and firewall) in the school authority. The decisive factor is that the user accounts are automatically maintained by synchronizing them with the central school administration database and via replication in the LDAP directory. In this way, each person logged in to the school administration software receives a user account for the school’s education network automatically the following day. In addition, a user group and a shared file are generated for each class group by default. As the administration of users and computers is performed centrally, the schools generally do not have to do anything in this respect. Nevertheless, school administrators do have the possibility to administrate groups, printers and network shares. In addition, in UCS@school, teaching staff have an application for IT-supported teaching at their disposal with which they can complete simple administrative tasks, such as the creation of groups for teaching purposes, blocking Internet access for individual computer rooms and distributing digital teaching materials. What’s more, UCS@school offers functions for the integration of digital media and digital cooperation in classes. A wide range of basic settings can be preconfigured so that the working environments for different classes are instantly available to teachers. The first WLAN network is designed for exclusive access to the Internet. Students and teachers can log on to the WLAN with their private, WLAN-enabled end devices (Bring Your Own Device) and their regular user account. For authentication, the Cisco devices use the RADIUS server from UCS. Access to systems in the school LAN is not possible for security reasons. The second WLAN network enables the school‘s own devices to access the Internet and school LAN. As part of a project, the certificate-based login of school‘s devices to the WLAN via the UCS RADIUS server was implemented. An interaction with the users is not necessary for a login to the WLAN via the school’s own devices. Currently, there are about 1,200 access points in operation at 125 schools, through which up to 12,000 WLAN clients receive network access at peak times. The maintenance of UCS@school users was automated in Bremen at a very early stage. The automation chain already begins in the school secretariat, where data records are created and updated in the pupil and teacher directory of the school administration network. Through an automatic nightly export, the relevant user data is transferred from the school administration network to the educational network, where the data is then imported into the UCS@school system. New pupils and teachers at a school thus receive their own user account in the UCS@school directory service overnight. leads to a massive reduction in process logic in the school administration. enables the use of cross-school user accounts. allows a more flexible generation of user names and e-mail addresses. Parts of the process logic are realized by a project-specific addon for the UCS@school import, which integrates seamlessly into the existing UCS@school import process. The automation of user administration, centralized infrastructure administration and the restriction of local administration options to areas relevant to education made it possible to keep personnel efforts for the operation of the complete solution within moderate limits. The consistency of the infrastructure across schools also establishes a standard with the result that teaching staff and pupils can adjust quickly if they change schools.